The drinks really are "free" at most casinos when you're gambling, even on the slot machines. Remember to tip a dollar or more, or you won't be seeing much service. It's always easier to find a cocktail waitress first, then a place to sit and play, than the other way around. 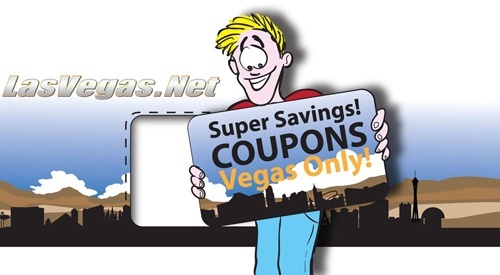 Many time-share companies that operate in Las Vegas will occupy an hour or three of your time to display their properties, but they'll also reward you up to two hundred dollars worth of dinner and show tickets. Just ask yourself how much money per hour you want to rake in. Hint: If you appear well-off when they first approach to you, they'll want to sign you up, then if you appear poor when they're performing the tour, they'll want to eject you quickly. Every casino has a Players Club, and every Players Club member can get discounts at different shops and restaurants within the property. The rewards scale with evert dollar you gamble, so if you're planning on camping out for a week in front of a slot machine, be sure to sign up first. Those giant signs advertising deep-fried-twinkies for a dollar,or beer+hot dog for two are true. But keep an eye on the prices of every other menu item at that food stand. You know they're going to make their money back somewhere, and you have to wade through the seduction of the slots to reach the deals in the back. Here's one for the hard-core, that I borrowed from an online buffet review: go to the buffet at 3:00pm, and pay the lunch price. Eat real, real slow. Around 4:00 the cooks begin serving the upscale, interesting dinner items. If you hold out, you will save four or five dollars!